Social Media and communication 2.0. 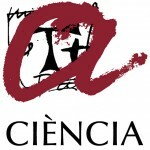 Advice on the implementation and daily management of social media of the Scientific Culture and Innovation Unit (UCC+i) and the Universitat Rovira i Virgili channels -the public university of Tarragona and Terres de l’Ebre- and the Campus of International Excellence Southern Catalonia (CEICS). The URV has been working with the UCC+i from 2013 to communicate, share and disseminate scientific research that the University and the centers of the CEICS generate, in order to improve and increase training, culture and scientific knowledge of citizens.